Despite the fact the Matrix sequels are universally despised, it was at one time a profitable franchise, so the studio (and the Wachowskis) are reportedly looking to bring it back with a trilogy of prequels. In general, I like the Wachowskis. 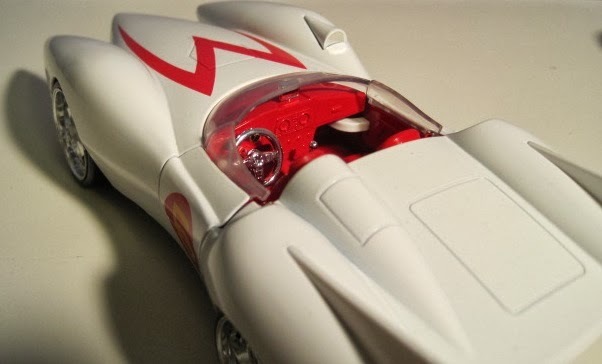 In particular, I consider the movie Speed Racer to be among the most underrated of the past decade. And the trailers for Jupiter Ascending look awesome. I'm not the world's biggest Matrix fan (I like the first, but I've always considered it overrated), but I'm not entirely adverse to the concept, provided they can deliver movies worth watching. Look, this is a prequel. The technological foundation for the Matrix shouldn't be as advanced, and the effects should reflect that. I know some people may be concerned a feature film with quality of an 80's video game won't be watchable, but as long as they make it look more realistic than the multiple-Smith fight in Reloaded, I think it'll be fine. Guns don't kill people: 20-mile long racks of guns moving faster than freight trains kill people. The Wachowskis have an opportunity to deliver a real public service here: let's just hope they're brave enough to stand up to the gun rack lobby and say it. The black leather outfits in the original movies perfectly encapsulated the feeling at the end of the 90's. Since the new movies predate the last ones, they need it set firmly in an earlier era. Besides, the presence of a color that isn't a shade of green would be a nice change of pace. Some casual fans may be reluctant to sit through a full hour of watching someone code, but I really think the payoff could be worth it. Besides, after sitting through the rave scene in Reloaded, watching someone write a computer program sounds downright riveting. He was robbed last time. I'm not asking for much: just a quick appearance and a few lines establishing he's a better actor than Keanu Reeves. Kung fu is all fine and dandy, but if the resistance wants to stand a chance against the machines, they should really be uploading move sets from Street Fighter and Mortal Kombat into their cerebral cortexes. Just imagine how cute a three-year-old Agent Smith would be. We've already seen characters move fast, hang in midair, and even fly: the new Matrix movies are going to have to take it up a notch if they want to hold our interest. They should start with magic mushrooms and go from there. And while we're on the subject, the gun from Portal had better play a major role in this thing. Actually, there kind of were boss fights in the Matrix, but I want something a little more cerebral; you know, less Double-Dragon and more Metroid. Okay, really I just want to write this up for Mainlining Christmas, but given that Neo was essentially kung-fu hacker Jesus, it makes sense that movies presumably leading up to his birth would be thematically linked to Christmas. Besides, we can't let Prometheus be the only holly jolly science-fiction prequel out there, can we?